Attorneys get training and spend countless hours sharpening the skills needed to prepare a winning appellate brief, closing argument, or summary judgment motion. But most cases are settled -- not won on summary judgment, at trial, or on appeal. In many cases it is the mediation briefs -- the overlooked briefs that are often hastily prepared at the last minute -- that most important briefs. Like other briefs, a quality mediation brief starts with a careful evaluation of the audience. Who will see your brief? Who is making the settlement decision? Who are you trying to influence? Too many mediation briefs try to influence only the mediator. Every mediation is different. Every case has its own settlement personality. But there are recurring themes and issues that confront attorneys whose clients are heading to mediation. Mediation briefs are often confidentially submitted to mediators, meaning the brief is not shared with opposing parties. A confidential mediation brief usually represents a missed opportunity. 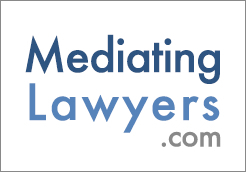 A defendant’s mediation brief should speak to the plaintiff’s attorney -- convincing the plaintiff’s attorney that they’ve valued the case too high, or that some other risk factor makes settlement at a lower figure desirable. A well written, non-confidential brief can help the plaintiff’s attorney to reduce their client’s expectations before the mediation. This obviously increases the likelihood of settlement at a favorable price (from the defense perspective). Similarly, instead of merely trying to influence the mediator, a plaintiff’s attorney can use a non-confidential mediation brief to enhance the probability of a favorable settlement. The plaintiff’s attorney can use the mediation brief to influence the defendant’s attorney and the defendant’s liability insurer. In some instances, the mediation brief will address liability issues, damages issues, and coverage issues. That mediation brief may be aimed at the defense attorney, the insurance adjuster, and even the insurance company’s coverage attorney -- all audiences who may be critical to securing a favorable settlement. A confidential mediation brief may give the mediator insight, but it does not help an insurance adjuster convince her supervisor that the covered claims should be taken seriously and the reserves should be increased before the mediation. Even if a confidential brief spectacularly articulates reasons why the defendant will probably be held liable and the damages award will be significant, it will do nothing to influence the defense attorney or the liability insurer that has to write the settlement check. Like hitting a baseball, when it comes to mediation briefs, timing is everything. Especially where significant dollars are involved, it can be very beneficial to complete and distribute mediation briefs far in advance of the mediation. While an experienced mediator can get the brief the night before the mediation and be ready to go the next morning, the adverse party in your case may need a lot more time to work with the brief. Insurance adjusters may need a couple of weeks to schedule interim meetings to secure extra authority, or to get an opinion on coverage. That extra time may be critical to the mediation’s success. A brief in a complicated, high-dollar case served three weeks ahead of the mediation gives the adjuster time to work with coverage counsel and supervisors -- time to secure the extra authority needed to settle the case. Even if it is substantively far superior, a brief served the night before the mediation, while the adjuster is on a plane heading to the city where your mediation will take place -- is just another missed opportunity. Defendants who are serving briefs on plaintiffs’ attorneys will also want to get the brief served long before the mediation starts. The brief may alert the plaintiff’s attorney to issues that need to be heavily researched or discussed with their client. The other attorney may need to consult with experts or obtain additional information to give the mediation the best chance of success. The extra lead time can be the difference between a settlement and a wasted mediation day. Your brief may be very educational, but not fully useful, unless it is served early. What should a mediation brief look like? Good mediation briefs come in different Good mediation briefs come in all shapes and sizes. While short and concise is typically preferable, lengthy mediation briefs that carefully analyze complicated fact patterns or case law can serve a useful purpose, particularly if they are served well in advance of the mediation. Like most legal briefs, it is usually best to start with the big picture. The short introduction may take the most time to write. It has to convey a lot of information using relatively few words. It should be impactful, structure the reader’s thinking, and impart enough important information so that the reader can easily anticipate where the rest of the brief is going. From the mediator’s perspective, briefs that start with a lengthy, detailed factual background -- as opposed to a well-crafted introduction that provides a big-picture overview -- are often the most cumbersome and least impactful. Any reader initially confronted with a litany of factual minutia faces an immediate challenge. Is each piece of factual information equally important? Is the date that the complaint was filed particularly pertinent in this case? Is the fact that it cost $105,000 to fix the Audi R8 going to impact the plaintiff’s damages? Does the fact that the insurer’s denial letter was sent on May 8, 2013 (or that the denial letter was 12 pages long) have something to do with whether the insurer acted in good faith? Is the fact that owners of 97 units in the 124-unit development sued important to some issue? Is the plaintiff’s date of hire important? Should I care that the plaintiff was fired by a supervisor? Should the V.P. have delivered the bad news? When a mediation brief starts with an overly-detailed factual background, the reader has to guess which facts are important, and which facts are not so important. A reader who assumes that each fact is equally important struggles to make sense of too much information. The writer risks drowning the reader in a sea of minutia. To the extent possible, mediation briefs should start with an introduction that highlights the important issues in a way that arms the reader with a desired viewpoint and knowledge of the highlights. Then the reader can easily navigate the rest of the brief quickly spotting the most important information. Case law can make a gigantic difference in the outcome of a litigated case, and it can also make a big difference in what happens at a mediation. However, except for the most complicated cases, there are usually only one or two important judicial decisions that justify extensive discussion in a mediation brief. If there is a particularly helpful judicial decision that goes your way on an important issue, highlight that case and discuss it. Don’t de-value an important opinion by including it in a lengthy string cite, or mentioning as one of 45 cases your brief discusses. If there is a particular case that seems to go against you, it is usually best to acknowledge the case and try to explain why it has a limited impact on the mediated matter. Citing only the positive case and ignoring the adverse case will probably send the wrong message to the mediator, and the wrong message to the adverse party. You are going to be in mediation all day. You know the adverse case is out there. Why not show the mediator and the opposing counsel that you’ve thought it through in advance of the mediation. While you recognize the adverse case has an impact, that impact is not as great as the other side thinks it may be. If the other side knows about the adverse case, this is a no-brainer. And let’s face it -- they probably have LEXIS too! A brief that highlights special factors that can promote or hinder settlement can be very helpful for the mediator. It is true that you can discuss the special factors with the mediator during the mediation. But briefing special factors in advance can give the mediator an advantage going in. The mediating often starts before the mediation starts. In other words, pre-mediation phone calls between the mediator and the attorneys often start the negotiation process. So a brief that discusses special factors can be helpful for the mediator, and helpful to the process. For obvious examples, consider a plaintiff’s urgent need for money, or a defendant’s recent meeting with a bankruptcy attorney; things a mediator wants to know about before the mediation starts. This type of information can help a good mediator help the parties efficiently move toward a reasonable resolution. Left unmentioned, special factors could backfire. If the mediator starts in the other side’s room, they can unwittingly say something that hinders settlement. For example, you represent a restaurant in an employment case, and you plan to argue that your client has no EPLI insurance and is struggling just to make payroll. But you don’t mention it in the brief because you can just tell that to the mediator when you convey your client’s $5,000 opening offer. But if the mediator starts with the plaintiff, the mediator might mention how packed it was when they had dinner at your client’s restaurant last Wednesday night -- undermining the mediator’s ability to sell the “we have no money” argument you expected to be your central theme of the day. Save the hyperbole for the actual mediation -- that way the mediator can see that you are smiling when you make those over the top comments. And please -- save the word “extortion” for the one or two actual extortion cases you might ever get involved in. Telling a mediator that the plaintiff is “extorting” money from the defense when she points out that it will cost $150,000 to defend the wrongful termination case through trial makes it sound like you don’t understand your own chosen profession. At least that’s the way it sounds to someone you are paying to help you settle your case. An efficient use of exhibits is always a good way to spice up a mediation brief. In most cases, overloading a brief with numerous exhibits won’t be very helpful. It will water down the impact of the powerful exhibits. But picking a few key pieces of evidence that demonstrate your strengths (or the other side’s weaknesses) can add power to your brief. You’ve spent months (or even years) thinking about the case and analyzing all the documents. The mediator might have a grand total of 10 to 12 hours to devote to your case. He or she needs to quickly and fully understand the exhibit’s impact in order to use it to move the other side toward your number. Make it easy for the mediator by getting right to the point, and by using only the most powerful exhibits as part of the brief. Charts, graphs or similar tools can be a great way to impart complex information quickly and efficiently. A well-edited set of videotaped deposition excerpts can tell a powerful story. Put the time in and make these extras influential -- not just to your mediator, but to the other parties too. Most mediators will carefully study the concluding sections of mediation briefs. Often, the mediator gets a laugh out of that section. After reading 24 pages explaining why the plaintiff’s case has zero merit, how the defense is going to win a summary judgment motion, and why the cost bill the plaintiff will have to pay at the end of the process will bankrupt the plaintiff, the concluding section of the mediation brief says that “the defense will attend the mediation in a good faith effort to resolve the matter.” If that doesn’t bring a smile to your face, nothing will. Just as your mediation brief should not simply regurgitate the contents of the summary judgment motion, your conclusion typically should not completely divorce itself from the rest of the brief. Remember one thing -- mediators read the concluding sections of mediation briefs. Some might even read them first, before they look at any other part of the brief. So use the conclusion section of your brief to your advantage. Echo the main theme that you want the mediator to take into the mediation. That theme will vary from case to case. It will depend on the facts, the law, the stage of the case, prior negotiations, and the personalities involved. But if there is something you would like the mediator to have in mind during the mediation, make sure that one thing finds its way into your conclusion. Too many mediation briefs are intended to do the bare minimum -- merely acquainting the mediator with the case’s basic fact background. Figure out who you want to influence before you start your mediations, and use your mediation briefs to influence the decision-makers. The results you get will be well worth the extra time you have to put in. David Ezra is a shareholder with the Berger Kahn law firm. His practice focuses on insurance and employment law. He has been mediating cases as a mediator since 2005, when he received his Certification in Alternative Dispute Resolution from the University of California, Irvine.